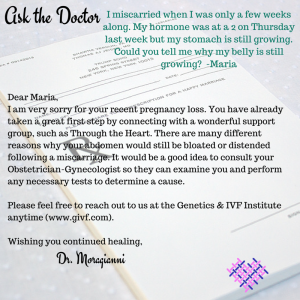 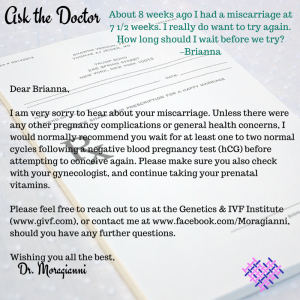 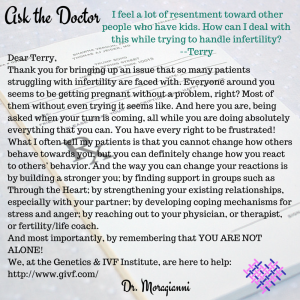 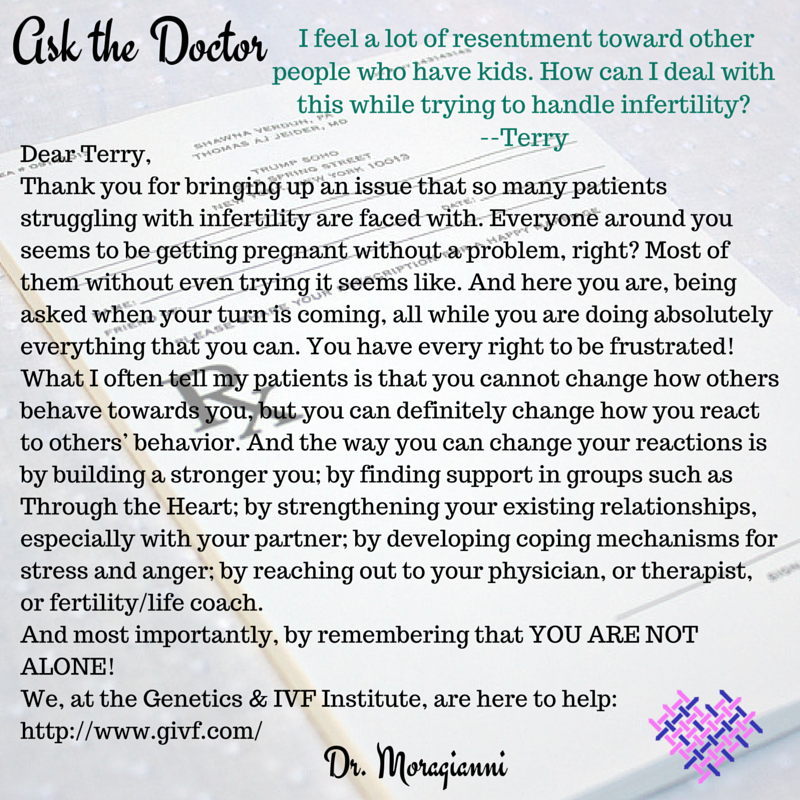 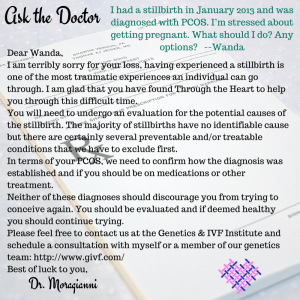 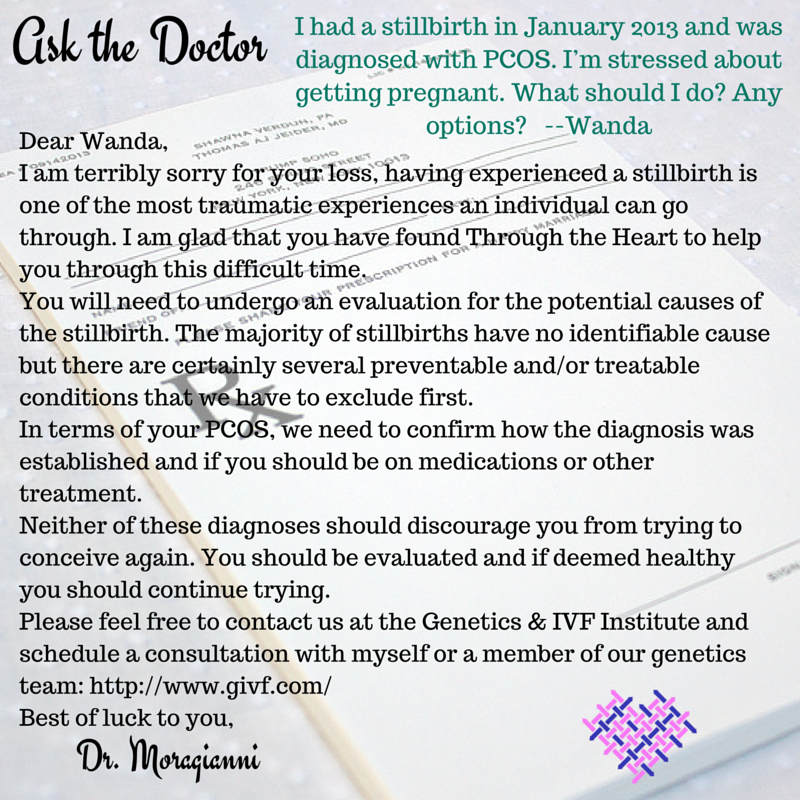 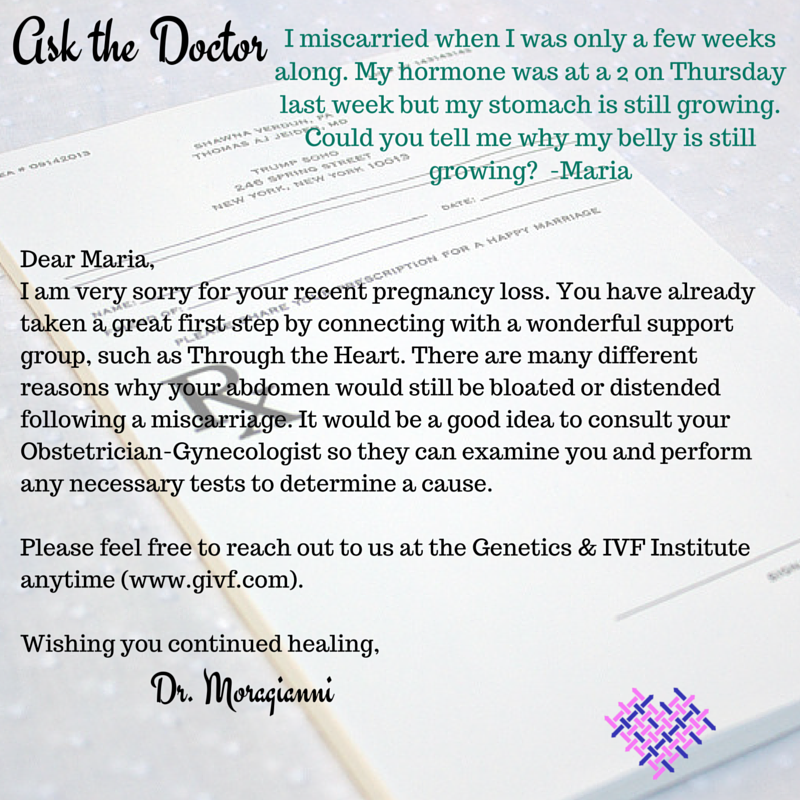 Have questions about pregnancy loss or infertility? We have an expert available to answer them! 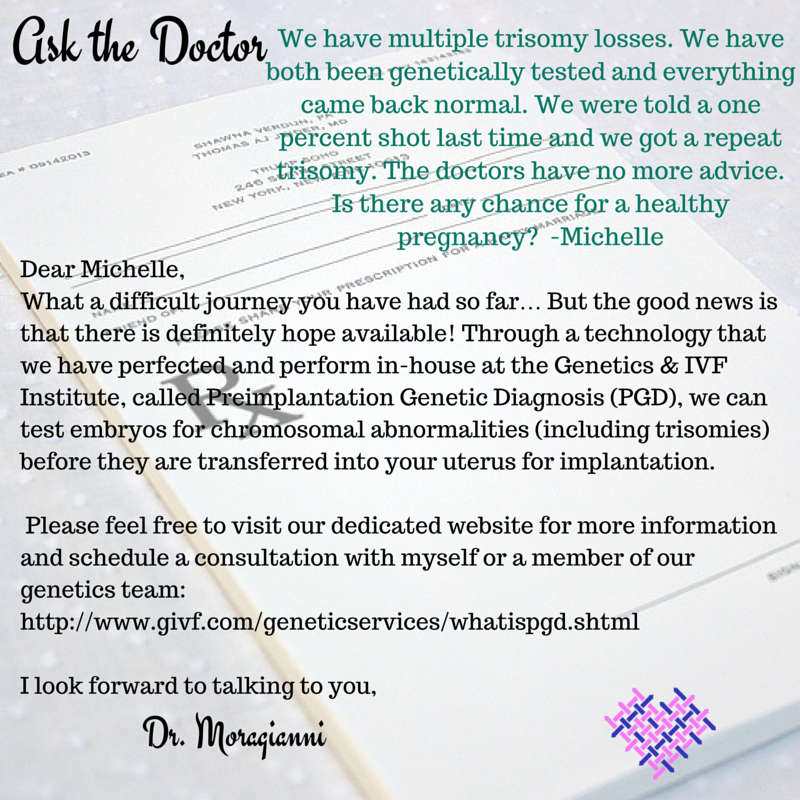 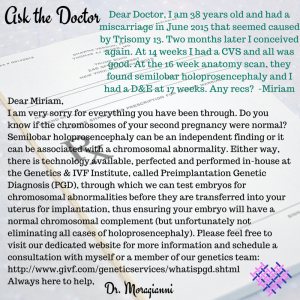 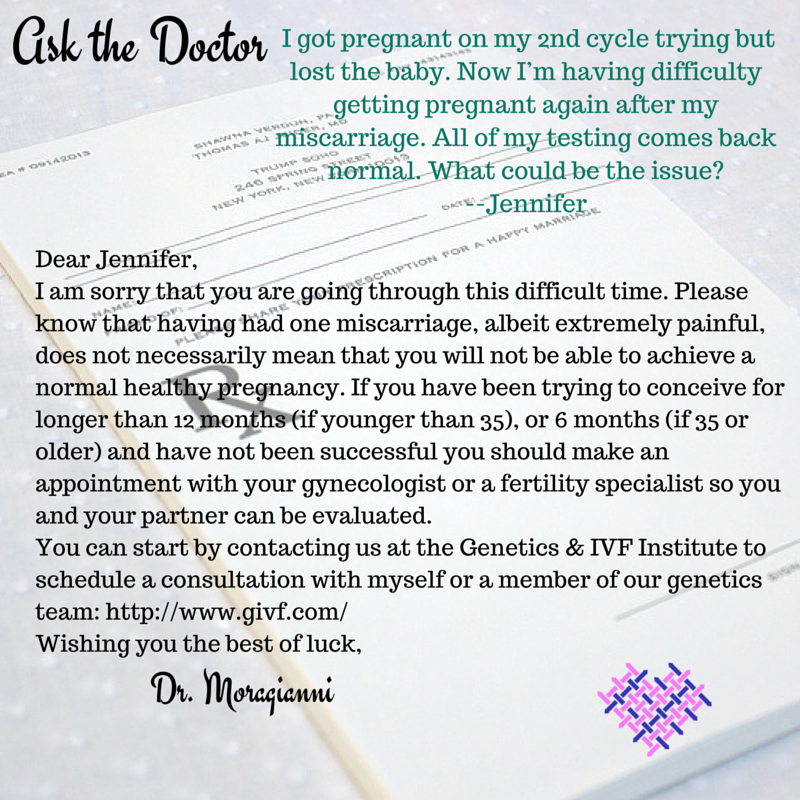 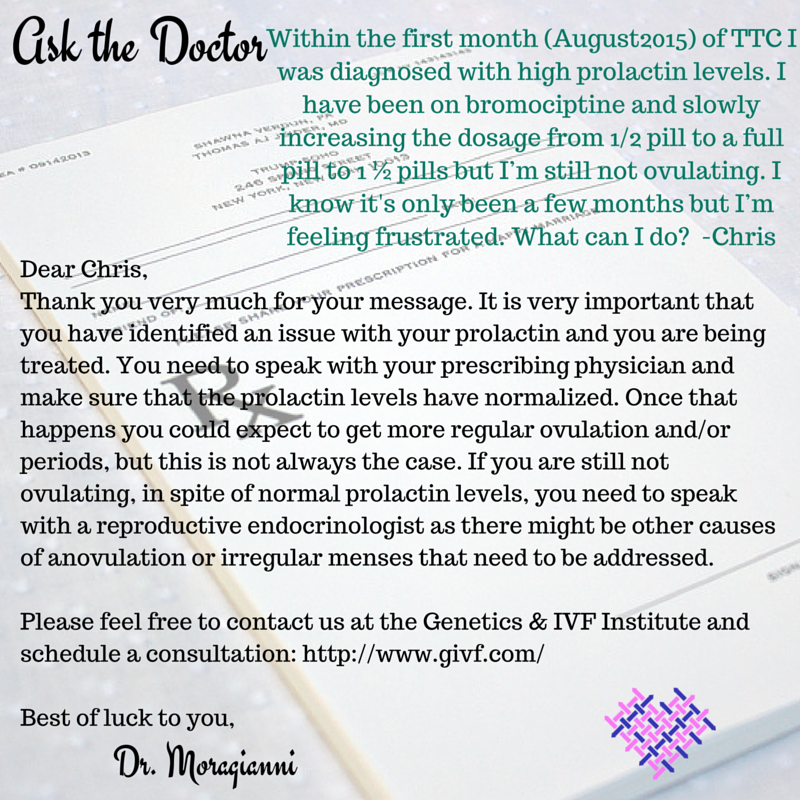 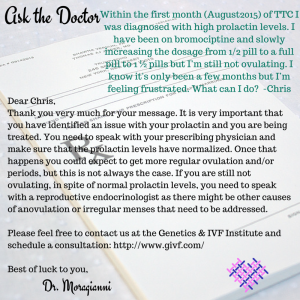 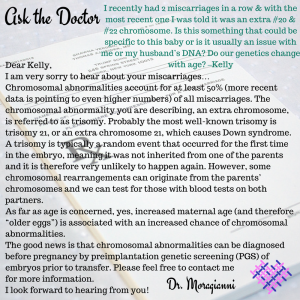 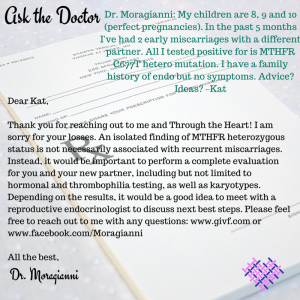 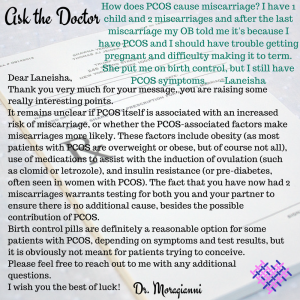 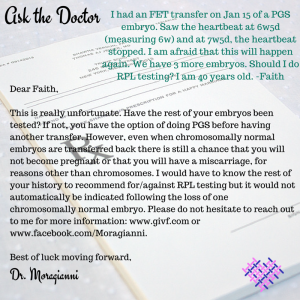 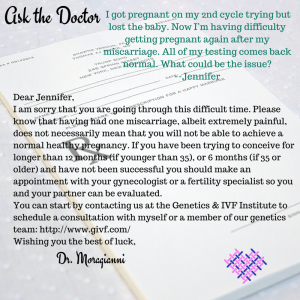 Dr. Vasiliki Moragianni is taking your questions and answering them right here on this site. 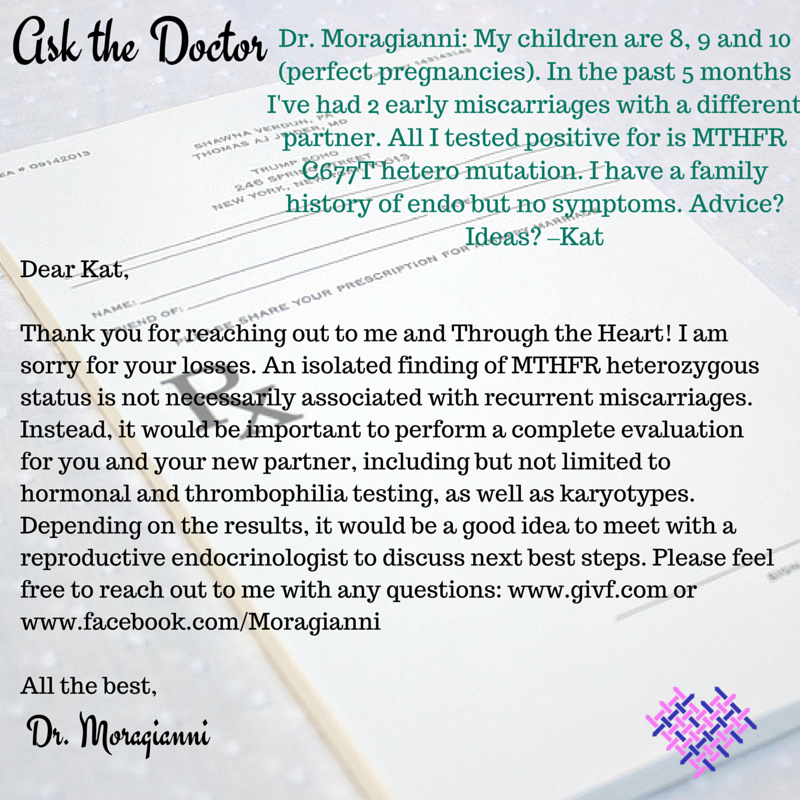 To submit your question, please fill out the form below then check back in the near future to see if it has been answered! 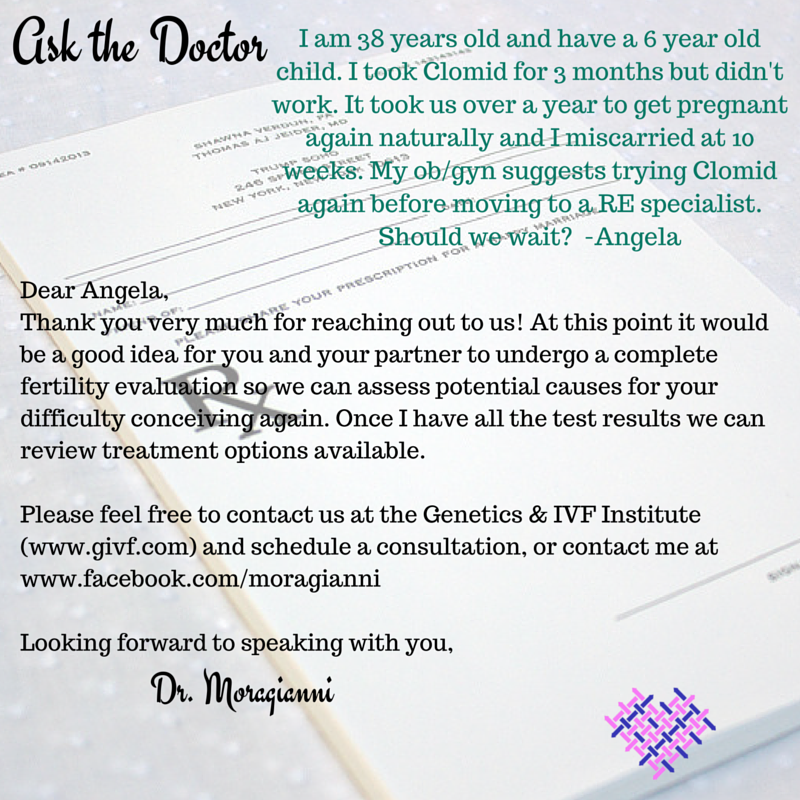 Dr. Vasiliki A. Moragianni, MD, MS, FACOG is a reproductive endocrinology and infertility specialist at CCRM Northern Virginia, one of the nation’s leading fertility centers. 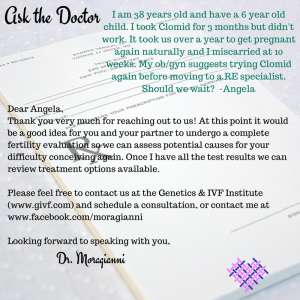 Dr. Moragianni completed her undergraduate studies at Cornell University, followed by a M.Sc. 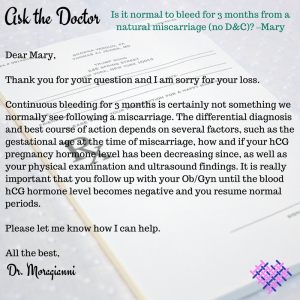 degree from Georgetown University. 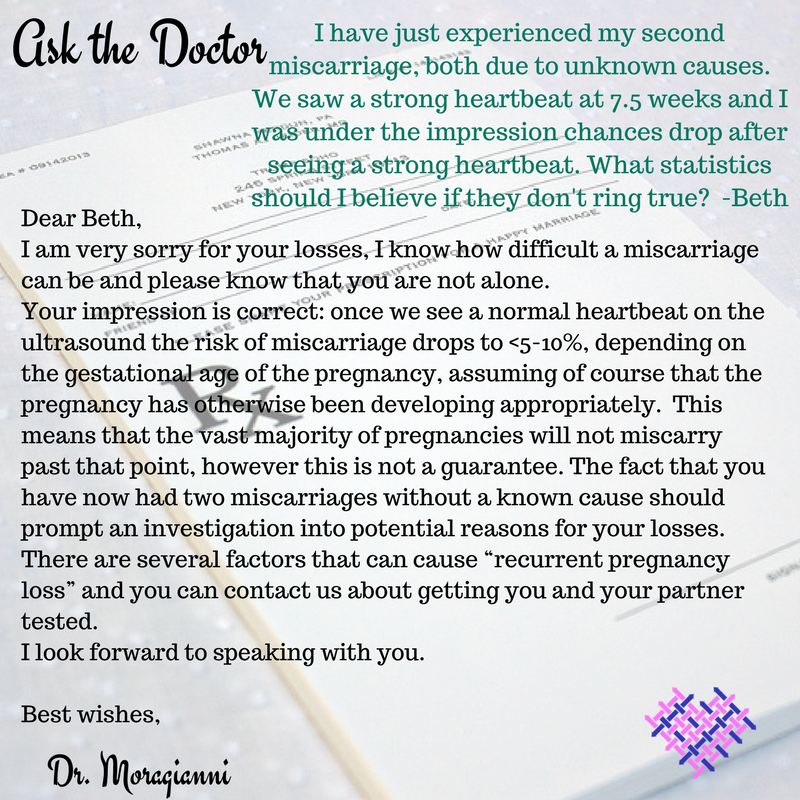 She received her medical degree from Drexel University College of Medicine and completed an OB/GYN residency at Abington Memorial Hospital in Philadelphia. 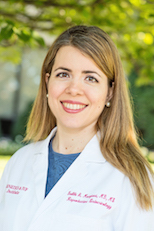 Following her residency, she completed her Reproductive Endocrinology & Infertility fellowship at Harvard Medical School and Beth Israel Deaconess Medical Center in Boston. 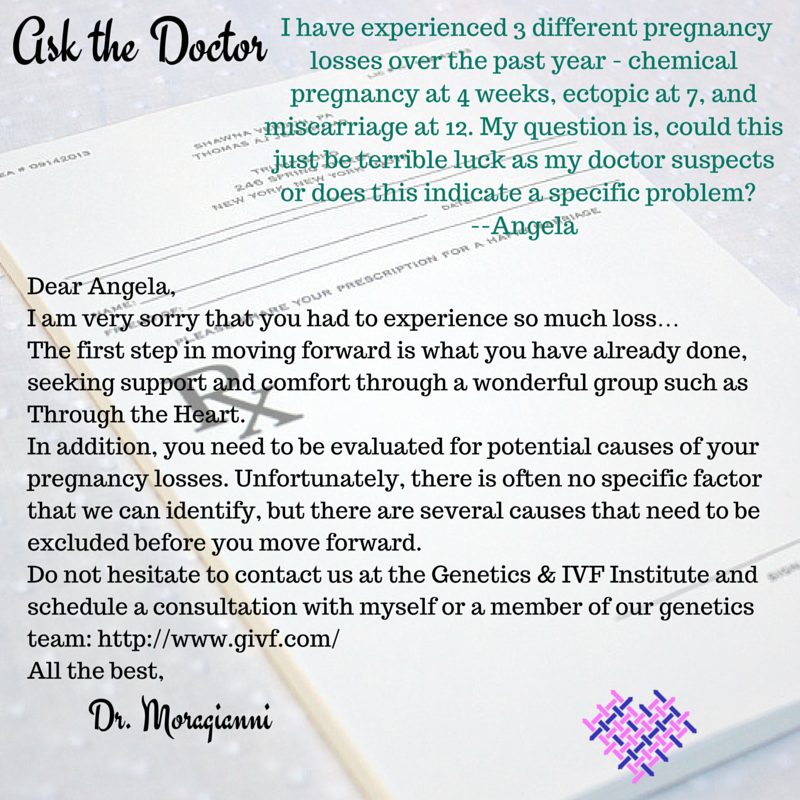 She subsequently joined the faculty of Harvard Medical School as Clinical Instructor of Obstetrics, Gynecology & Reproductive Biology, and was the Director of the International Patient Program at Boston IVF / Harvard Medical School. 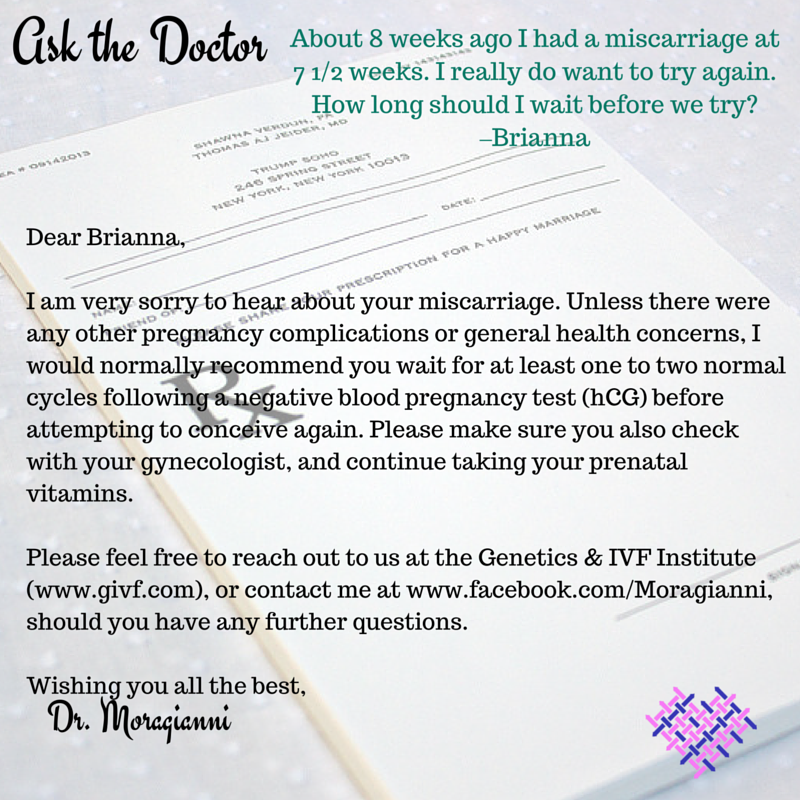 She later joined Fertility Solutions, a private practice with offices throughout Massachusetts and Rhode Island, and was named Top Obstetrician/Gynecologist by the International Association of Obstetricians & Gynecologists in 2013 and by the Consumers Research Council of America in 2014, 2016, and 2017. 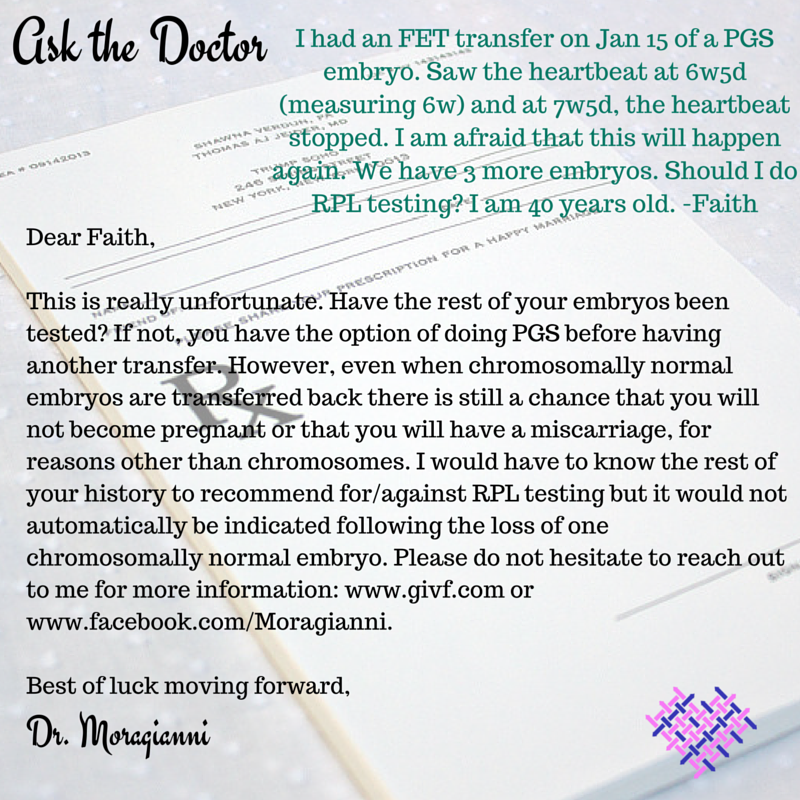 Dr. Moragianni has been practicing fertility care in the DC metro area since 2015. 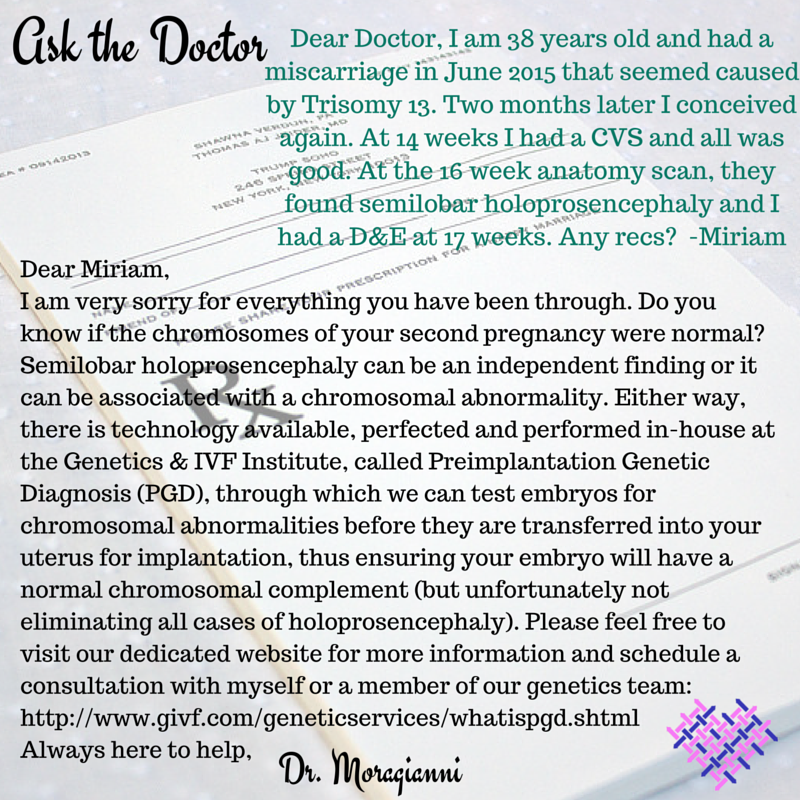 She has authored over 20 peer-reviewed articles, has written numerous book chapters and continues to be involved in several clinical and translational research projects and presentations locally and around the world. 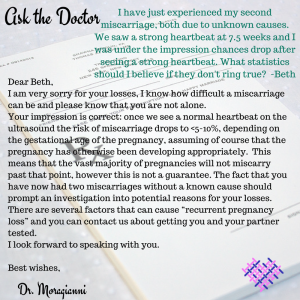 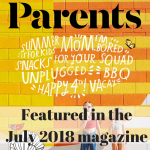 But most importantly, she deeply cares about her patients and makes herself available to them as a healthcare partner and advocate in their journey towards parenthood.